Trash talk. When it comes to sports, trash talk can spell death for the one talking. 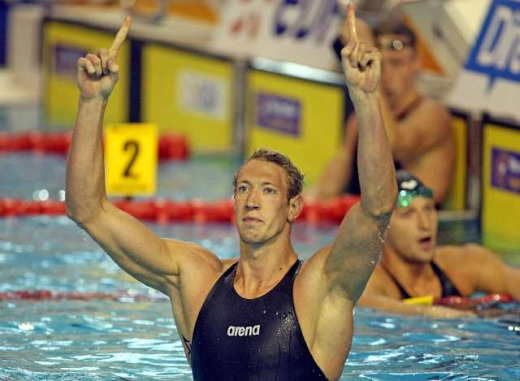 We saw this with the men's French swim team in the last Summer Olympics held in China. “The Americans? We’re going to smash them. That’s what we came here for," Alain Bernard said, referring to the freestyle relay event. Even when you win, trash talk is something fans don't appreciate but pay attention to cause it creates drama. Floyd Mayweather Jr. is a great example, considered as one of the best boxers in the world. His trash talk had earned him searing spite among fans. So fans pay to watch the fight to see him lose or get knocked out. As of today, no one has been able to do either. Still, fans of the sport give little respect to the man holding a 41-0 pro record. An oddity when legendary greats like Tyson or Ali have losses. I had attended this past weekend's UFC 117: Silva vs. Sonnen. Anderson Silva is considered the best pound for pound mix martial arts fighter in the world. All of the top fighters in his division (185 lbs) have tried to beat him. None ever came close. Silva has won 11 straight wins coming into this fight. In the world of MMA where there are innumerable ways to lose, this is amazing. But I was never a fan when Silva came to the UFC, and I doubt I'll ever be. Why? I want someone who's open and real, and somehow he's not genuine. I'm not the type to like someone just because he's a winner. Then comes in Chael Sonnen. He was an NCAA Division I All-American wrestler at the University of Oregon, two-time University National Champion in Greco Roman wrestling, and a US Olympic team alternate. But forget about that. "I think I can win this fight, I don't know I'm gonna win," said Sonnen on Jim Rome's radio show. This has been my life's philospy. If you wanna be a New York Times best selling author, an Academy award winning actor, a great pro athlete, then you have to start with "I can" and not worry about "But will I?". And for four and half rounds, each one being five minutes long, Sonnen had dominated Silva. As far as I know, Silva had only lost one round in his UFC career. 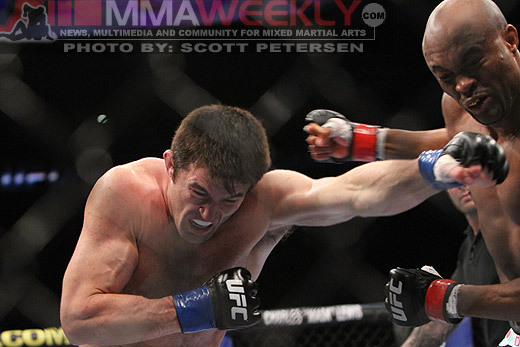 Silva vs. Sonnen was one of the most exciting fights I had seen. I was one of very few who leaped out of the seat, Jersey Shore fist pumpin, screaming as Sonnen pounded away at the champ. Oh, crap! I caught his chin! Get your hands off my face! But like all greats, Silva had pulled a triangle hold and won the bout. Sonnen had backed up every single word, save winning the championship belt. But in the world of MMA, he has made himself a huge factor and revealed a gaping blackhole in a once invincible champion.